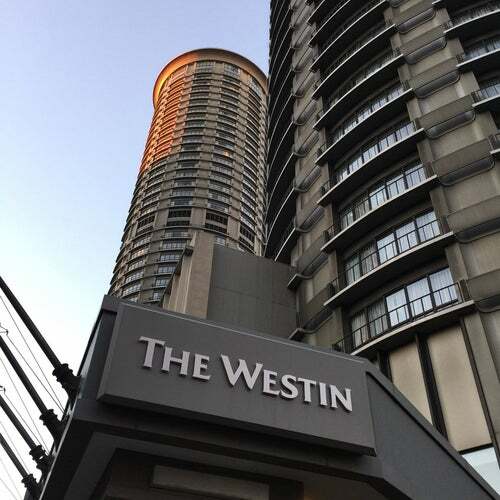 Guests at this Westin Seattle can have spectacular views in this urban retreat. Located downtown, the hotel is a gateway to all of Seattle's nightlife and dining. Patrons can enjoy fresh cuisine at the hotel's Coldwater Bar and Grill. Took a buddy visiting from the east coast into Seattle and checked into the Westin. Our room had the most impressive view I have ever seen. The room was very comfortable, staff was attentive. Go there for a great experience. The weather was beautiful and sunny when my partner and I stayed here. We had a room with a spectacular view of the Puget Sound. I remember how the sun shimmered across the water just before sunset--a beautiful sight. The room and bathroom were nice, with the usual upscale Westin amenities such as their signature Heavenly Bed and Heavenly Bath. This hotel usually comes on Priceline at the 4* level. Probably not worth paying full price, but at $80/nt it's a great value. Pretty decent hotel in a good location downtown near the shopping and Pike Place Market, and also convenient to great restaurants in Belltown. Quick cab ride to Capital Hill gay area. No full service restaurant for Bfast/Lunch is a drawback.